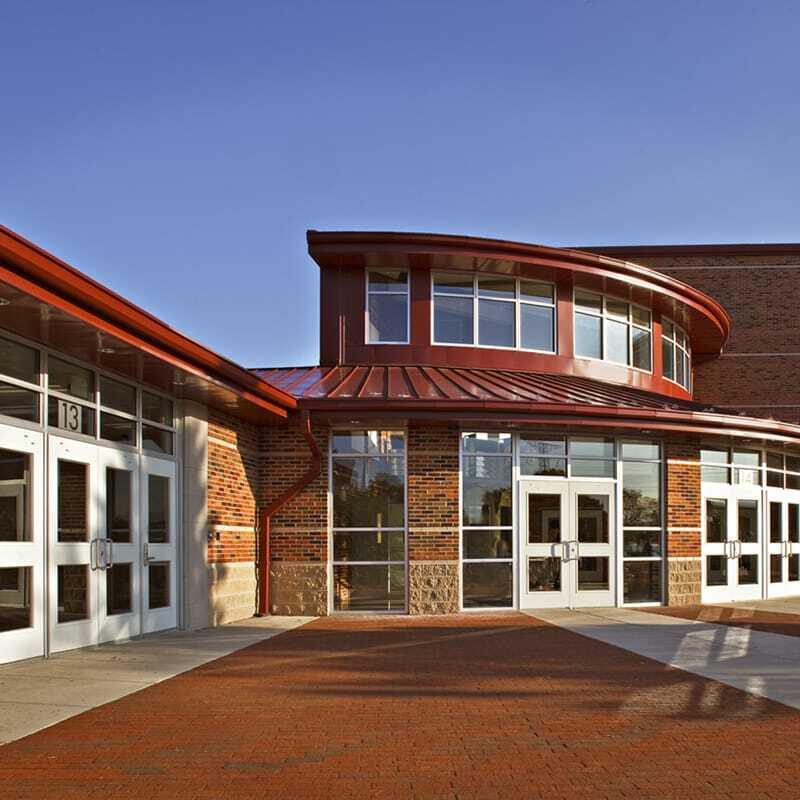 Gilbane has been performing as construction manager for Joliet Township High School District 204 for 10 years totaling over $100 million in construction volume. This 10-year partnership began with a district-wide capital improvement program and life safety work at two high schools – Joliet West and Joliet Central, which is registered as a historical landmark. Joliet Central is listed on the National Register of Historic Buildings. The building was in disrepair and required expensive maintenance to better serve the educational and space needs of the District. The administration faced the tough challenge of enhancing the learning environment with modern technology upgrades and improved air quality, while still preserving the historical tradition important to the community. 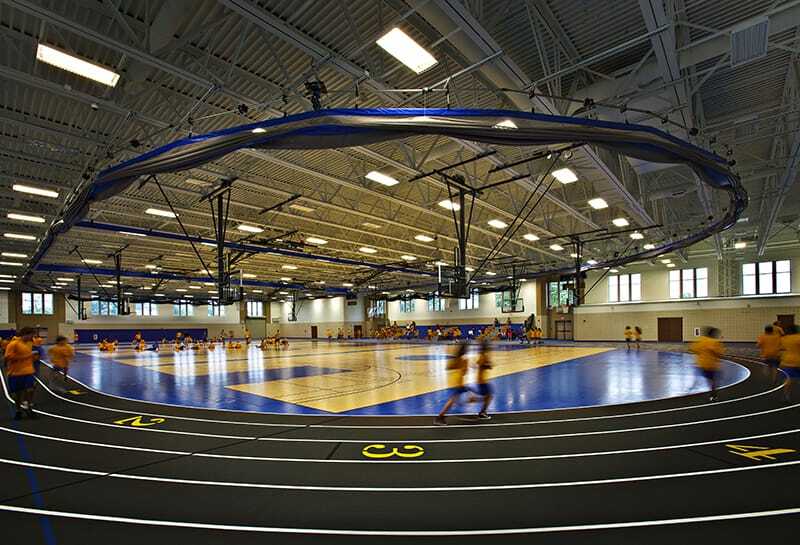 The project also included field house additions to blend with the character of the existing campus. Ultimately through collaboration and teamwork, the project team reduced the schedule from five to two years, saving the District significant time and money. New two-story science addition at Joliet West including a one-story connecting link to the existing field house, eight new science laboratories and miscellaneous program space. Relocation and renovation of the infant childcare center and demolition of The Little Theater to provide space for a new Student Center at Joliet Central. 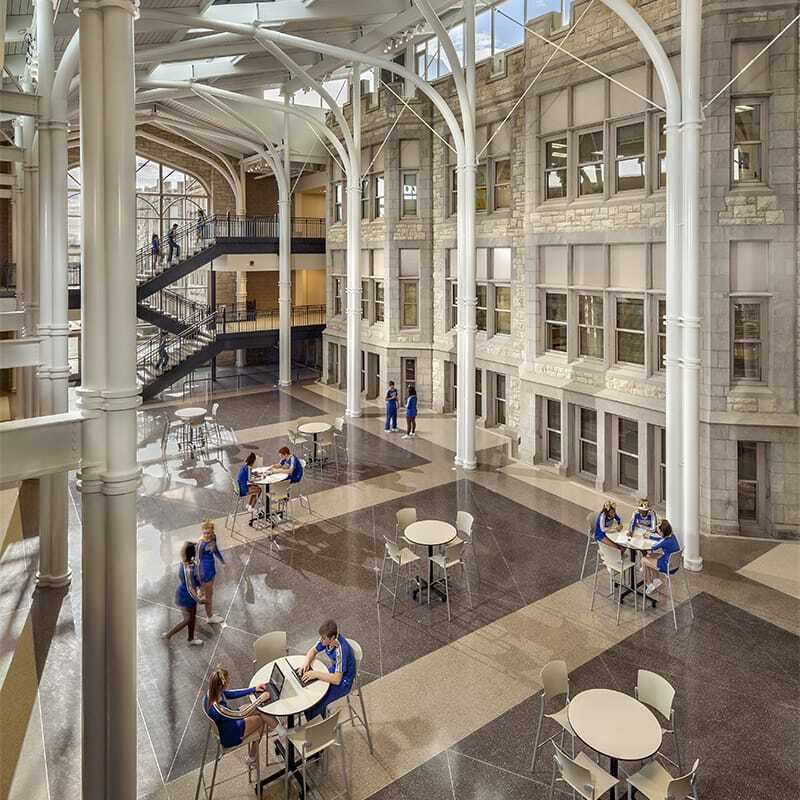 Construction of a stunning 43,000 SF addition at Joliet Central including an expansive student center, an open-plan dining facility, multi-purpose areas and an elevator to improve ADA accessibility. 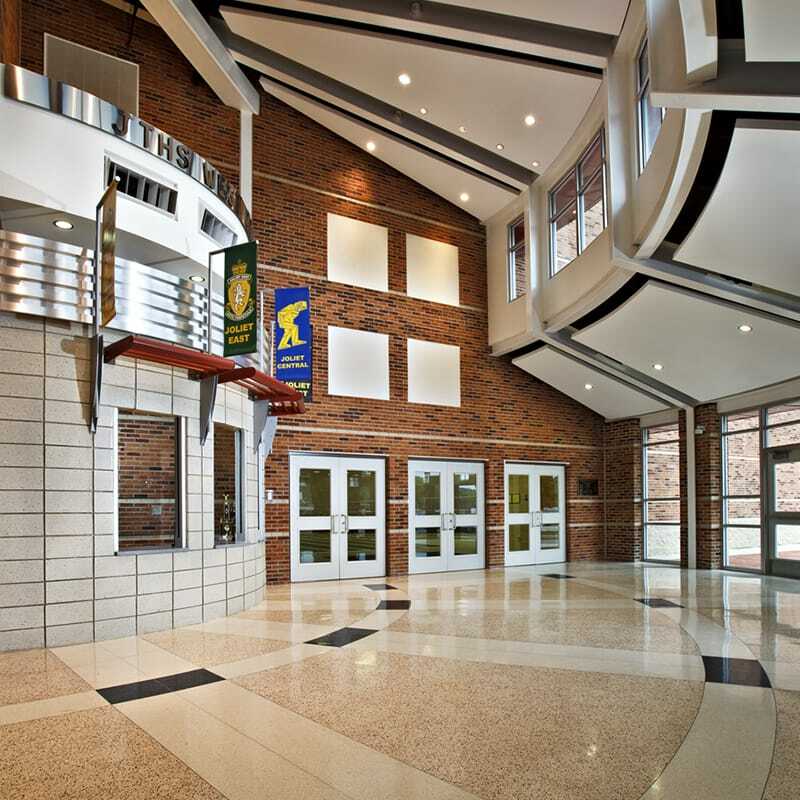 New 3,523 SF entrance at Joliet West High School including a metal detector, police liaison office, bag check area, waiting area and two conference rooms, which increases security while creating a more welcoming atmosphere for students and visitors.